Great for a bride or her bridesmaid. 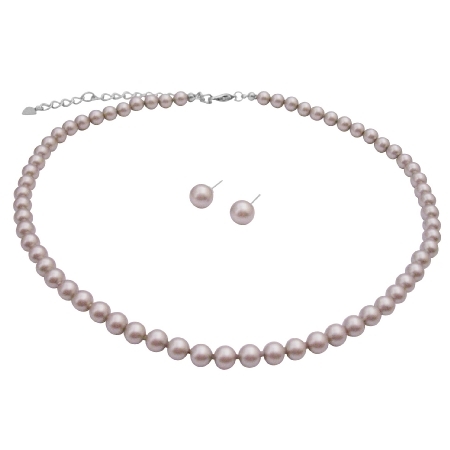 Platinum Champagne pearls adorned in beautiful necklace with stud earrings. From the drop down box you can also choose different Swarovski pearl color that would match your dress.